“Offspring Table”, what can we say? We have always been intrigued by how mothers protect their young. This must be a “Cypress” mom? 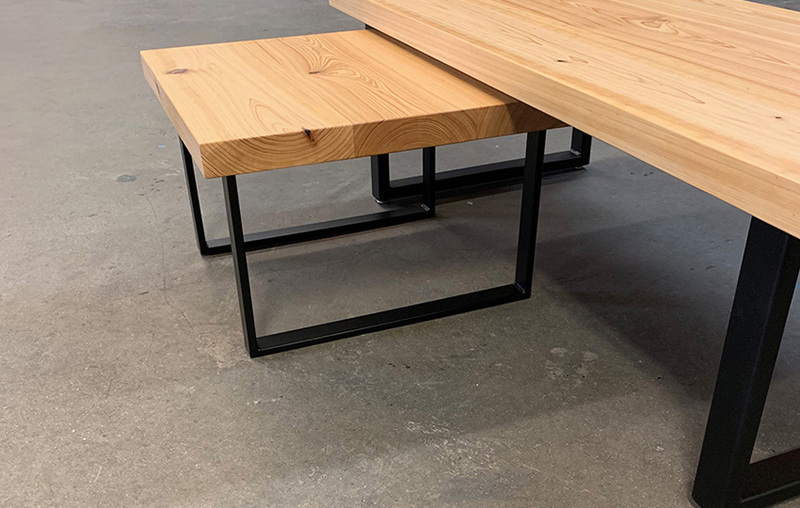 Nesting tables made with solid Cypress tops with powder coated bases.